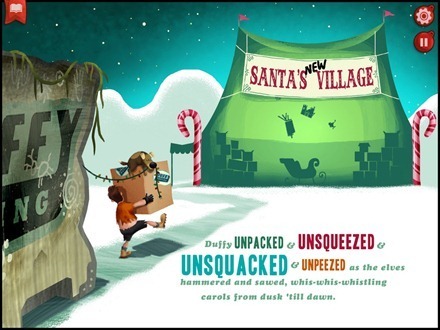 When Santa’s workshop at the North Pole falls victim to the effects of climate change, Claus and company need a hero: someone to help the village and save Christmas! 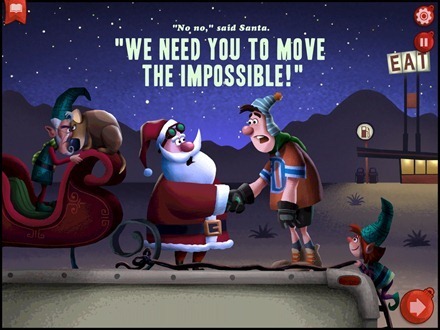 Santa chooses an unlikely partner to help him out of the disastrous situation – Frank Duffy, Mover of the Impossible. It turns out Duffy has never moved people before or done much of anything to recommend him, other than appear on The Nice List every year since his birth. 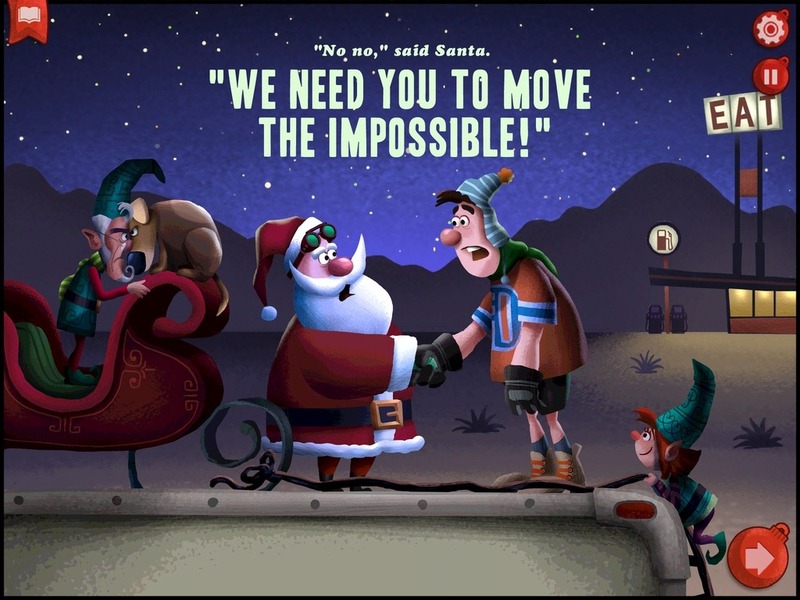 Santa chooses him anyway and the race is on to get Santa and his elves and workshop and the whole operation in time to save Christmas. 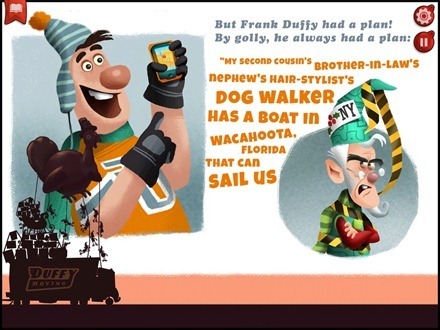 This storybook app has all the elements that make for a hit with kids and plenty of grownups – a great story; excellent, fun illustrations; lots of fun interactive elements on nearly every page, and a brilliant voiceovers and sound effects to add even more fun to every page. Illustrations throughout the app are big,bold, and striking. 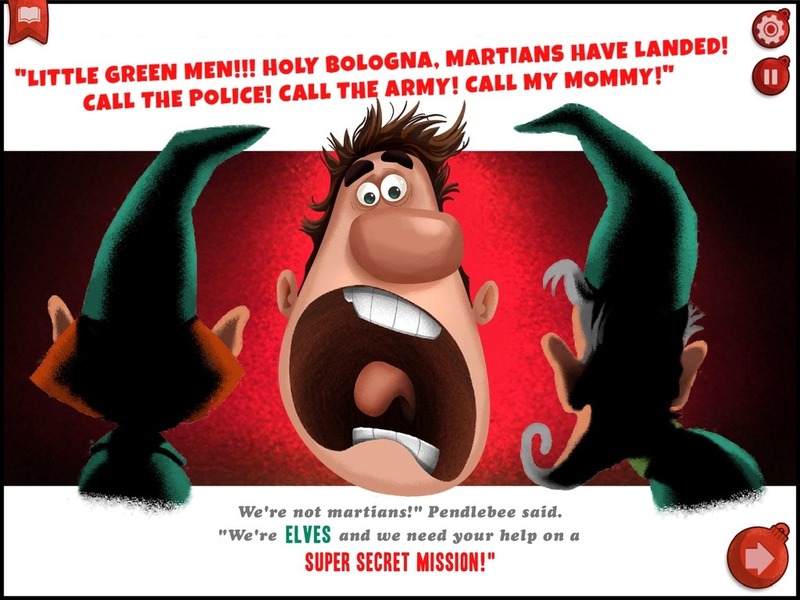 The words of the story are flippant and funny – so there’s an exciting storyline that gets presented with generous doses of wise-cracking humor. It even has some Dr. Seuss-like flavor to it at times. 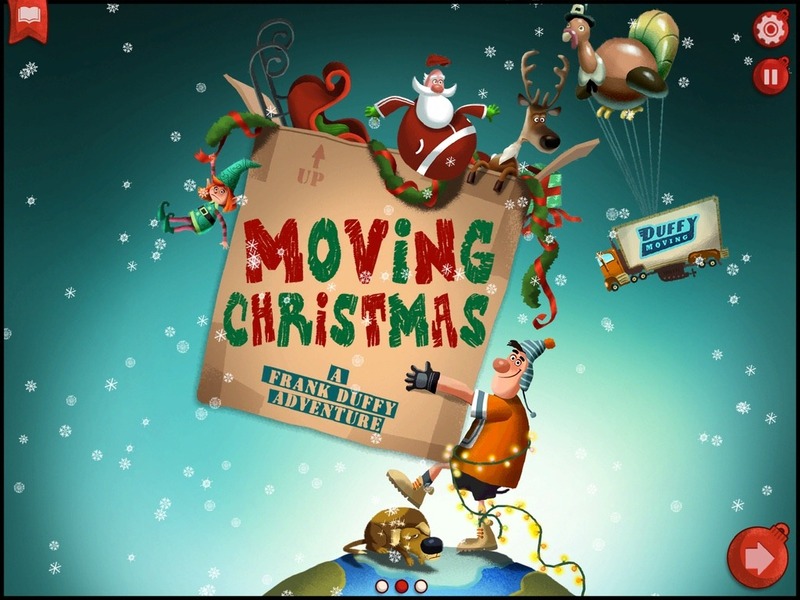 As I said in the post title, Moving Christmas is an instant favorite iPad storybook. I knew I liked it a lot right away, and one look at my daughter confirmed that she felt the same. 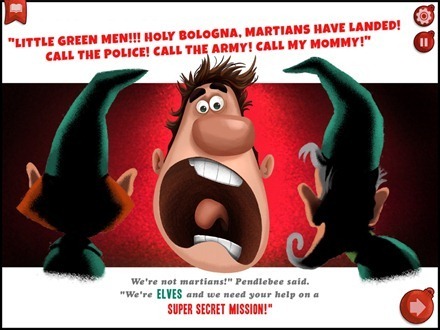 We’ve both laughed long and hard while reading this – and I’m sure it’s going to get re-read lots of times during this holiday season. I like that it has a good little eco-friendly message, but it is very subtly delivered. 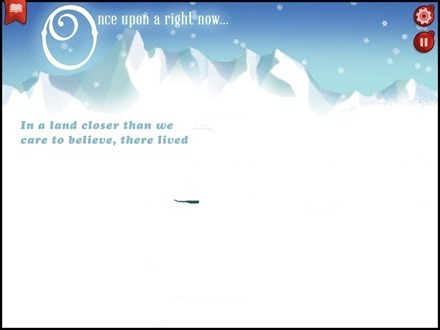 It’s mentioned and then the story flows and it’s just a great Christmas story and a story about believing in yourself. And a whole lot of fun. 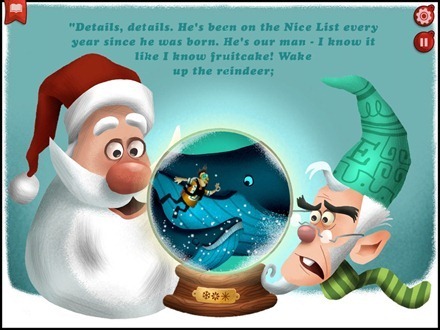 If you’re looking for fun Christmas themed iPad storybooks to share with your family, this one should be top of The Nice List. Here’s an App Store link for Moving Christmas; it’s priced at $2.99. The app isn’t free, it is $2.99! The price has been updated. The app was free at the time of my original post.